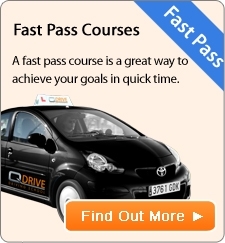 The Theory Test for Potential Driving Instructors requires a much higher standard of knowledge than that expected of a learner driver. The computer based test is carried out in two parts; a multiple-choice section and a hazard perception part. Both parts are taken at the same sitting. The ADI Theory Test is available in English and Welsh. You will have 90 minutes to answer 100 questions, which are split into four bands. This is designed to test your ability to identify hazards which arise while you are driving. You will be shown a tutorial video first which explains how to complete the Hazard Perception. The test consists of 14 video clips, each lasting about one minute. The clips feature various types of hazards, such as vehicles, pedestrians and road conditions. You should respond by pressing a mouse button as soon as you see a hazard developing that may result in you, the driver, having to take some action, such as changing speed or direction. The earlier the developing hazard is spotted, and a response made, the higher the score. The test contains 15 scoreable hazards and candidates can score up to five marks on each hazard. The overall pass mark for the multiple-choice part of the test is 85 per cent (85 questions answered correctly). However, you must reach a minimum mark of 80 percent (20 correct questions) in each of the four bands given above. The pass mark for the Hazard Perception test is 57 out of a possible 75. At the end of the test you will be given a report detailing the results of both sections. A Theory Certificate is also included which must be produced when taking your Part 2 test of Driving Ability.